Next up was a familiar target in Florida State. 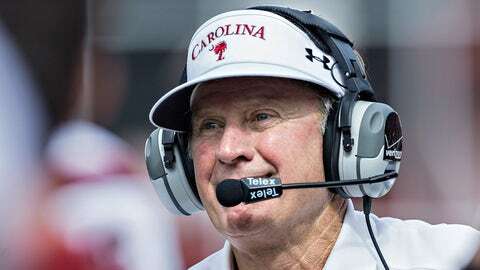 Spurrier to Bianchi: "I didn't know Jadeveon's car that could go that fast. He doesn't have a pretty car like those FSU guys used to drive." As always, we thank the Head Ball Coach for delightfully playing the college football equivalent of a wrestling heel.